See also Parts 1 and 3. 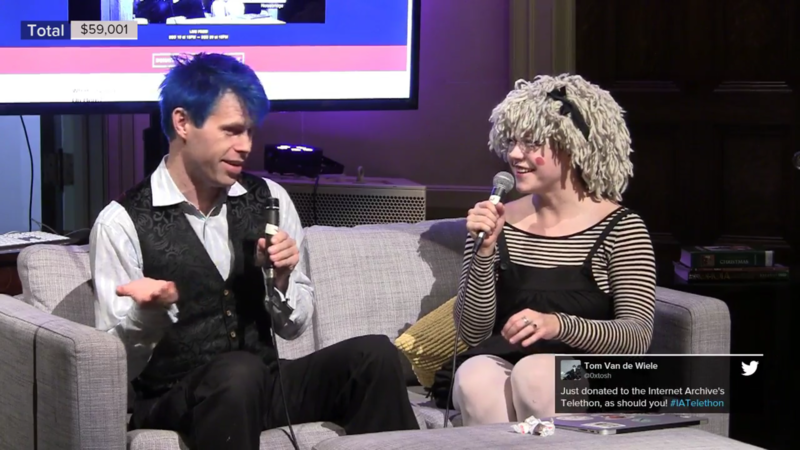 The Internet Archive Telethon 2015 began at noon on December 19th, and almost immediately we had things go pretty crazy. The co-hosts (Jason Scott and Michelle Krasowski) and the opening staff of the Cortex got used to the timing of the whole thing, while tests and fixes kept happening to get the infrastrucure functioning. 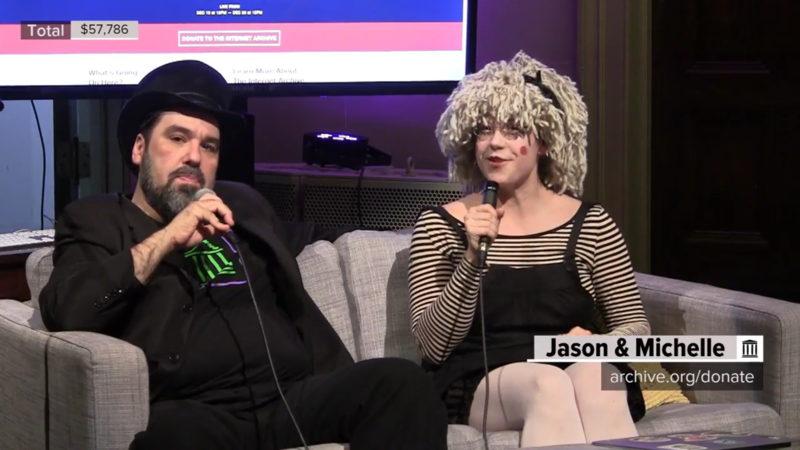 But to get things off to a rousing start, Diva Marisa Lenhardt sang an aria from The Fifth Element and talked about how the Internet Archive’s Wayback machine saved a copy of a site she’d lost due to a disagreement with her hosting provider. From there, we ran into issues with audio synchronization, to the strangeness of the cameras, and ultimately, a network outage. Due to the efforts of multiple employees coming onsite and online on that Saturday, the network connection returned, stronger than ever, and by 4pm, we had our act together. So, it turns out that a telethon is a very stressful, very weird, very involved project, and a 24 hour marathon is all of that times 10! 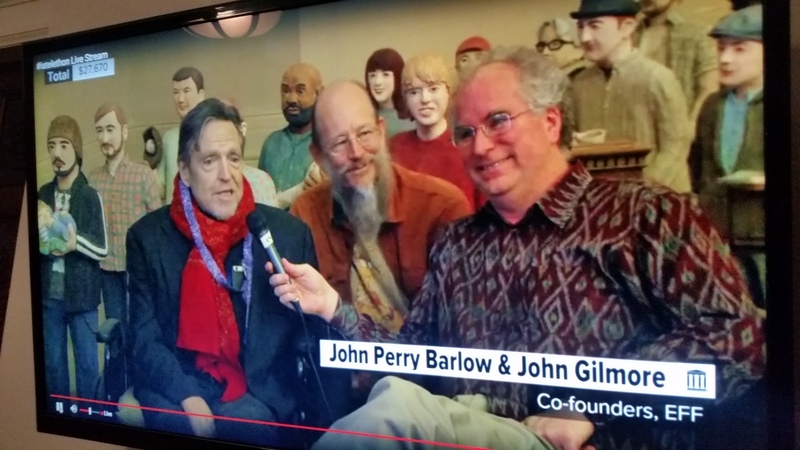 A pretty historic segment was Brewster Kahle interviewing John Perry Barlow and John Gilmore, co-founders of the EFF and with accomplishments on all sides, doing a combination interview and conversation among the statues. 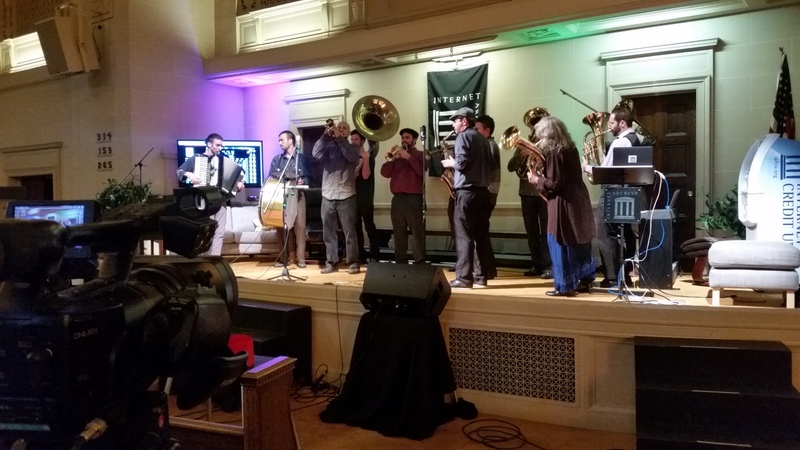 Internet Archive employees played a huge part in the events and the acts onstage, including Alexis Rossi and Dwalu Khasu singing christmas carols and Jeff Kaplan performing on guitar. 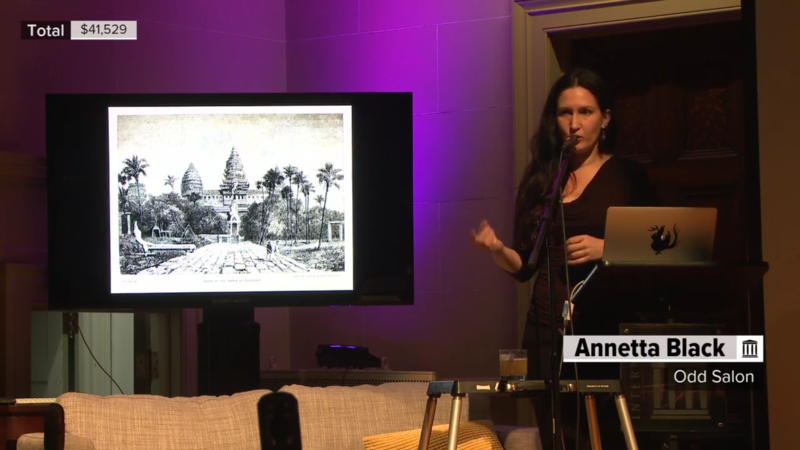 It was a time for interviews and conversations about the nature of the Archive that rarely are heard outside its walls – employees sitting back and chatting about what brought them there, kept their interest, and what inspired them. Michelle also pulled out the 35mm filmstrip projector and slide carousel to bring us back to our days of compulsory education in the dark, and we learned about Cities in Space and The Poetry of Rock. 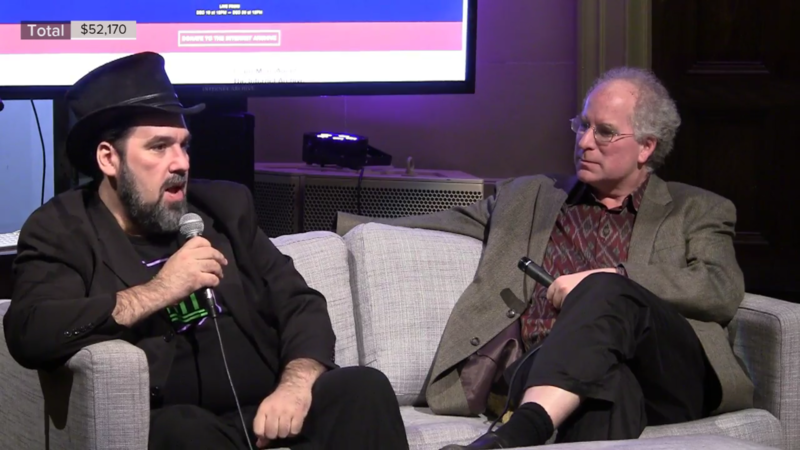 In the Internet Archive 2015 collection, you can see both edited sequences as well as extended unbroken clips, some of them going for hours, of the Telethon as it happened. There were moments of great excitement, of improvisation, and of having to just make do with who or what was onstage at that exact second. Though it all, hundreds of viewers weighed in with tweets, suggestions, questions and demands. So, in basically one day, we generated a couple dozen hours of content and media, a good portion of it unique and amazing and some of it beyond classification. But how did the Telethon actually do with regards to its goal, to raise awareness and funding for the Archive?